Philosopher George Santayana once mused “Those who cannot remember the past are condemned to repeat it." I swear Santayana somehow predicted Double Dragon IV. A myriad of games looking to replicate the glory days of the Nintendo Entertainment System have come and come again, like a freight train that can’t stop. Many of these games are born due to a series not being able to reach the lofty heights set by their originators and continue to modernise as generations came and went. Some of these games proved that it was worth exploring the past, especially when their franchises have long since fallen from grace (Sonic and Castlevania, we're looking at you). Others simply shouldn't be revisited at all. 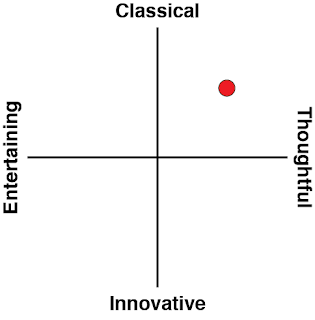 Double Dragon IV falls into this category. Related reading: Double Dragon when modernised is a lot of fun. Nick's review of Double Dragon Neon here. Billy and Jimmy Lee return to beat up countless gangs of thugs in an old-fashioned side scrolling beat ‘em up. The original Double Dragon saw the brothers on a quest to save Billy’s girlfriend Marian from the Black Warriors gang. The sequel, Double Dragon II: The Revenge, is what Double Dragon IV is mostly based on. 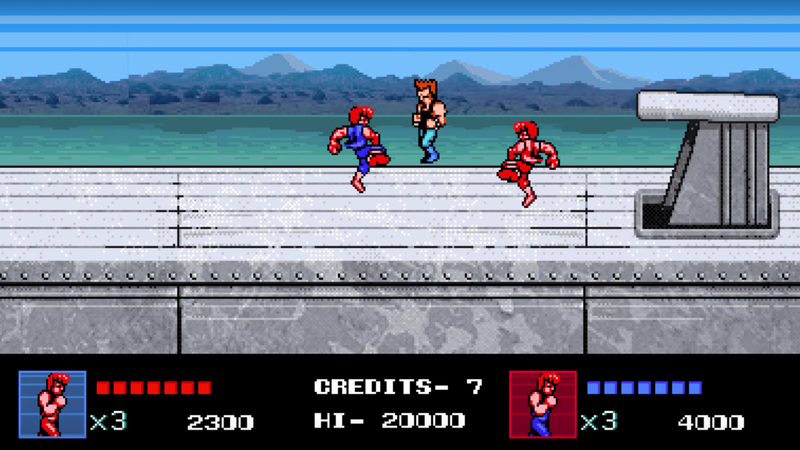 Double Dragon II saw cut scenes and a small narrative introduced into the series, most notably beginning with the shocking death of Marian at the hands of the Black Warriors gang. Billy and Jimmy sought revenge and overcame all kinds of odds in what was probably the pinnacle of the series. This is why Double Dragon IV is so hard to swallow. Not even three levels into the game and it’s revealed that Marian is somehow magically alive with no real explanation, and she’s been kidnapped again, or whatever. By this time, I found it hard to care about anything going on in the game, except I had to punch faces in, which seemed honestly like a more interesting narrative to go with anyhow. It takes a truly impressive job to take a beat 'em up and then somehow provide a narrative worse than what was in those arcades of yesteryear, and yet that's what has happened here. Furthermore, releasing the game so it looks and plays like a dated NES game is an odd choice. I understand the desire to give people a hit of nostalgia, and we've seen games like Mega Man and Sonic did well to return to their roots. However, the gameplay in Mega Man and Sonic has hardly dated whatsoever, whereas Double Dragon IV feels clunky all the way through, and badly needed an update from what the older games used to offer. 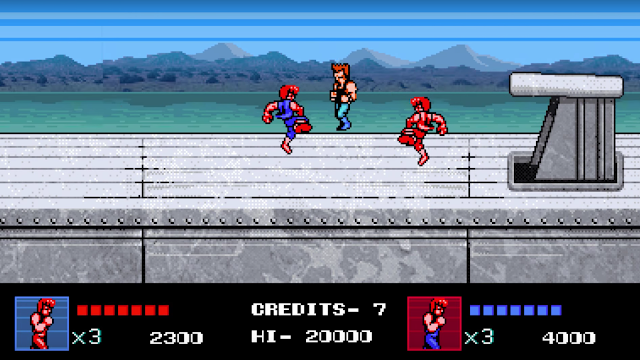 WayForward released Double Dragon Neon a few years ago, and it felt like an actual update to Double Dragon, even if it was more a parody of the series, but this feels like it has stepped back for the sake of nostalgia in too many ways. There are elements of Double Dragon IV that I cannot help but appreciate however. The inclusion of the original game’s designers, Yoshihisa Kishimoto and Koji Ogata, as well as the original composer, Kazunaka Yamane, is a nice touch to add to the fact that this is a direct sequel to Double Dragon II. It is, at least, an authentic Double Dragon game, though I wonder if this creative team was really given much of a chance to be creative. The simplicity that comes with replicating a NES experience comes without even the most basic of graphic enhancements. Backgrounds move at the same speed as the screen, forgoing any sense of depth. Fighting is kept at its most basic, with Jimmy or Billy only needing to do spin kicks as an enemy gets back off the ground just to knock them back down again until they die. This trick also works on bosses as well, and proves particularly useful to knock enemies off of cliffs and conveyor belts to their doom. Some enemies will backflip away from Jimmy and Billy if they get too close. That tiny bit of variety then becomes an exploit when you realise you can use this to have the enemy dunk themselves off an edge and into a pool of lava simply by moving up to them. Jimmy and Billy are able to perform a a few moves, though only one of them is ever really essential. There’s both a punching and kicking combination that can be used to knock opponents to the floor. 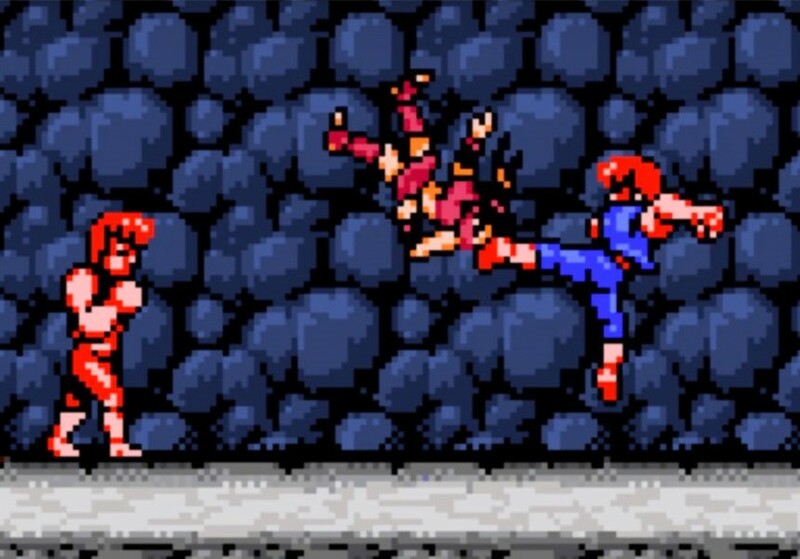 Pressing the kick button at the right time in the air causes a spinning air kick similar to that of Ryu and Ken from Street Fighter II. Once mastered, this spinning kick is the only move needed to kill most enemies without being harmed. If one of the twins is knocked to the ground, mashing the kick button performs a raising knee attack that launches enemies across the entire screen. Mashing the punch button performs a rising uppercut that launches enemies directly into the air. Occasionally there is the obligatory baseball bat, pocket knife and such to pick up and use. A favourite of mine was the ability to pick up a large crate, where grenades are awarded to the player upon bashing it over an enemy’s head. As basic as it all is, the game then takes a turn into complete unfairness in later levels, when Billy and Jimmy are met with way too many people to fight at once, and then they'll get knocked to the ground over and over again until they die. This basic combat goes both ways, and quickly becomes tedious. Getting through the game in the latter levels is not an easy task. It is made all the more stressful by the fact that Billy and Jimmy are limited to three lives and five continues. Once they’re all gone, that’s it, you'll need to restart the whole game. There’s no way to skip levels to go back to where the brothers died either. Beyond the single player game, there is a duel mode. 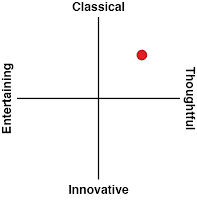 This enables two players to fight each other in possibly the most boring fighting game game in existence. Even the fact that beating levels in the story mode unlocks new characters to play as doesn’t enhance the experience whatsoever. It does seem as though Arc System Works were relying entirely on the nostalgia to sell Double Dragon IV. And while it captures the essence of those original games it falls short of being a good game today simply because the original hasn’t aged well. It would have been pretty rockin' back in the 80s though.